You know what’s scary? Hummingbirds. Yeah, those little birds whose wings never stop beating and they beat at like a million miles a second. That little thing scared the bejesus outta me. Alfred Hitchcock like. I was sitting on my patio, minding my own business, and this hummingbird does a Topgun fly by, Maverick style. I literally felt the breeze from his wings as he darted by – it was a dude bird. Dude birds are reckless like that. Did he not see me? An inch to the left and I would have had a bird implanted on my forehead! Ouch. I am not a fan of birds to begin with and this did not earn them any points in my book. So I left my post on the patio, once the sight was clear, and made this here chicken salad. It was lunch time and I was procrastinating at getting to work in the kitchen, but I normally don’t need a bird attack to get me moving…. Birds…Never met a nice one. 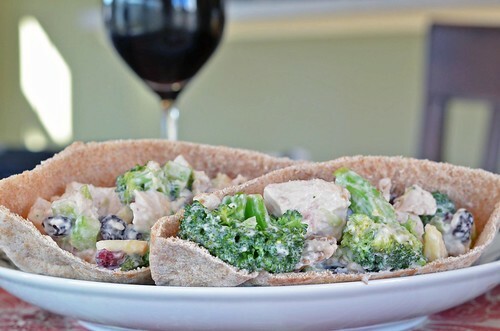 OK, so this chicken salad is chunky, chock-full of moist and tender chicken, sweet fruit, and crunchy veggies. Oh and walnuts too! It might be easier to eat with a fork than between two slices of bread. Personally, I don’t care how you eat it, just that you do, ya know…eat it. Side note…I roasted chicken breasts for this here recipe, but if you are short on time, go ahead and grab one of those handy-dandy rotisserie chickens from the market and shred that bad boy up…because guess what? When you buy chicken salad from the deli, guess what chicken they are using? Yep. 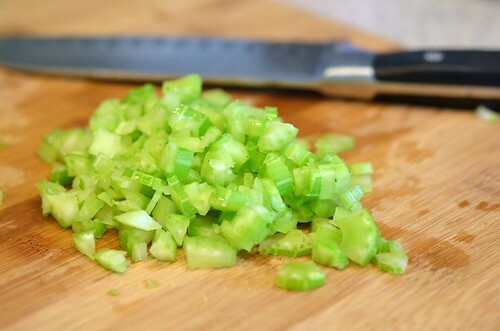 Lets whip up some salad. Chicken, diced into nice bite sized pieces. Broccoli…you will blanch this. I don’t like raw broccoli. Gross. 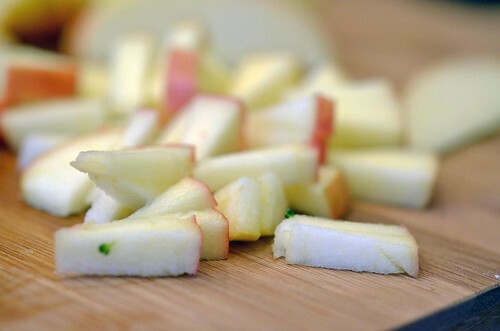 An apple, diced. My apple obsession of late is with Pink Lady apples. If Frenchie, from Grease, ate apples, I would think she would eat Pink Ladies. Its what I think of when I purchase them. John Travolta. 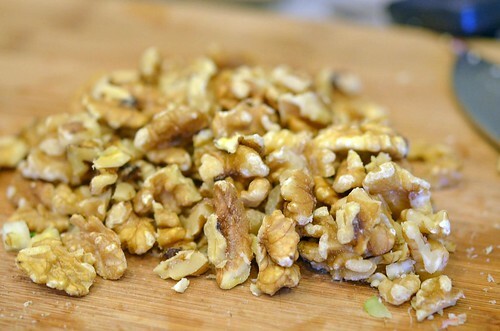 Walnuts … Pecans would be good here too, but did you know that they cost a gazillion dollars a pound? Thanksgiving is going to be pricey. This wouldn’t be a salad without a creamy dressing. This bowl contains, mayo, Dijon mustard, apple juice, salt, pepper. Its good. 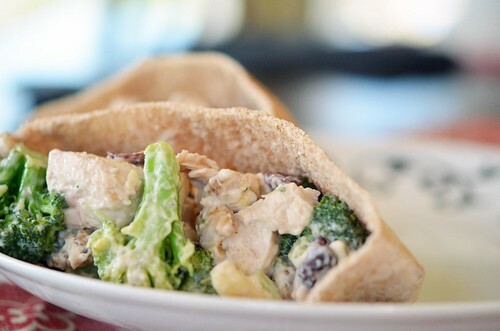 Buttery, flaky, savory croissants are a popular delivery system of chicken salad, but if you are like me, and love your skinny jeans, then a whole wheat pita is a great substitute. Preheat oven to 350°F. 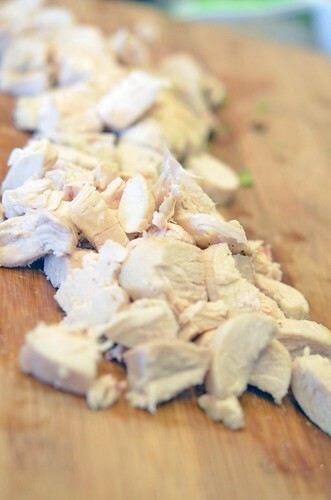 Place chicken breasts on tinfoil lined baking sheet. Coat with olive oil and sprinkle with pepper and 1 tsp salt per split breast. Roast in oven for 35 to 40 minutes, or until done ( juices will run clear and internal temperature 165°F). Remove from oven and let rest until cool enough to handle. Remove skin and dice into bite sized chunks when ready. While chicken is resting, blanch the broccoli. Bring a large pot of salted water to a boil and prepare an ice bath in a large bowl. 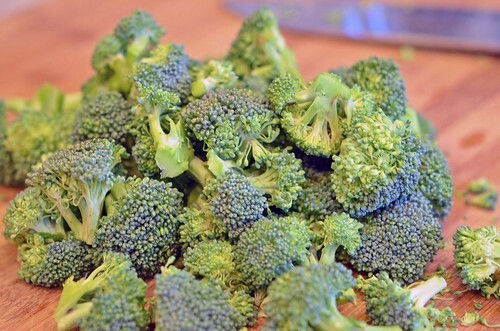 Place broccoli in boiling water for one minute. Remove from water and place directly in ice bath. – this stops the cooking. Leave in water until cool. Drain. 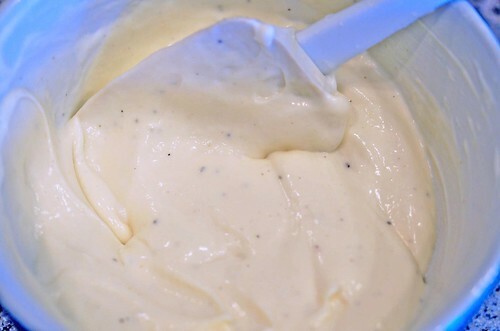 In a small bowl, whisk together mayo, Dijon mustard, apple juice, and a pinch of salt and pepper. 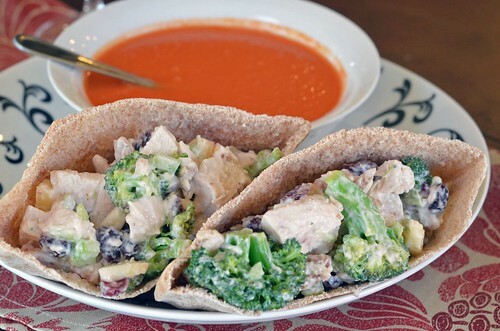 In a large bowl, toss together chicken, celery, apple, lemon juice, cranberry, walnuts, and broccoli. 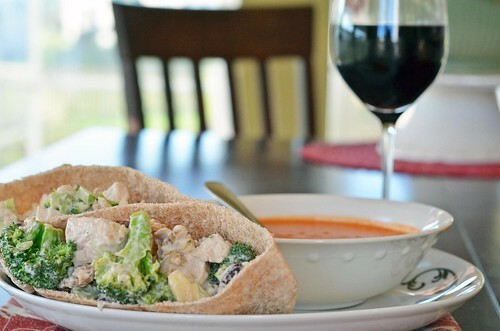 Pour dressing over and toss. 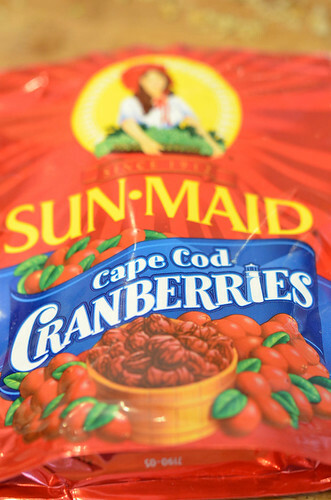 Cover and refrigerate for at least 30 minutes, letting the flavors meld. 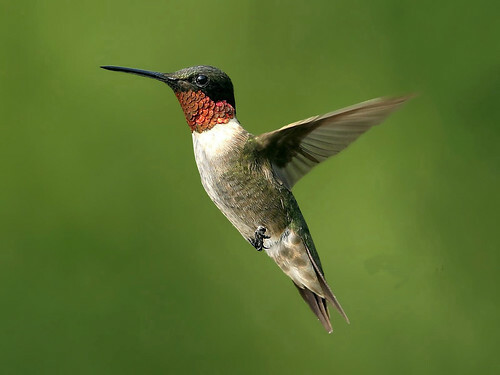 Disclaimer: I did not take the hummingbird picture…I was too busy taking cover.